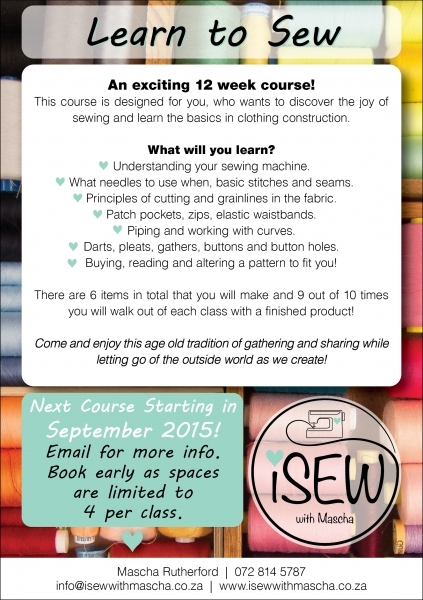 Learn to Sew in this exciting 12 week course! This course is designed for you, who wants to discover the joy of sewing and learn the basics in clothing construction. -What needles to use when, basic stitches and seams. -Principles of cutting and grainlines in the fabric. -Patch pockets, zips, elastic waistbands. -Piping and working with curves. -Darts, pleats gathers, buttons and button holes. 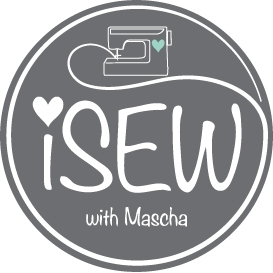 -Buying, reading and altering a pattern to fit you! There are 6 items in total that you will make and 9 out of 10 times you will walk out of each class with a finished product! Come and enjoy this age old tradition of gathering and sharing while letting go of the outside world as we create!